Non smoking/ Must be 25+ to book/No pets Oceanfront with rocking chairs, it doesn't get much better than this. This home offers a covered porch, 2 outside showers and central air. It’s great for the true beach lover. It has 5 bedrooms, 4 baths and a loft. A light and airy interior and spacious kitchen with 8 chairs and 4 barstools. Beds include: 1King, 1Queen, 1Queen, 1Queen, 2Single, 2Single. Sleeps 12. Wi-Fi and a gas grill are also included. NO smoking, NO pets. Tenant provides gas refills for the grill. It is a very nice oceanfront home that accommodates 8-10 adults easily. 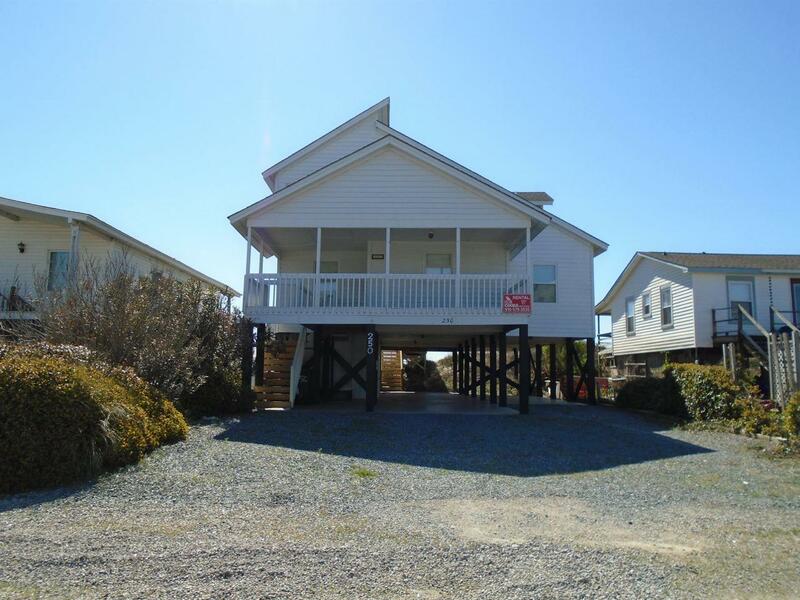 This home is a nice oceanfront property with an open floorplan, great for large families, and gorgeous ocean views. The photos of the living area don't really do it justice - it's nice and spacious with lots of seating. And there are lots of rockers and seating on the back porch. (There are some floorplan issues though: three of the four bathrooms are only accessible via a bedroom and the other full bath is only accessible via the upstairs loft area. And, the kitchen layout is a little odd, with the refrigerator wedged in right by the front door, so this caused traffic problems.) But overall a really nice house with great memories for us! Comfortable beach house for family of three - ten people. Like having the separate bedroom with bath. Nice having the loft area for the children.